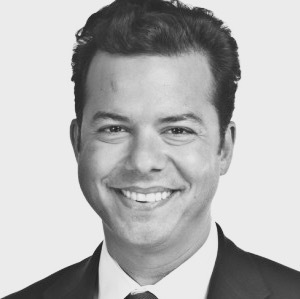 John Avlon is the Editor-in-Chief of The Daily Beast and a CNN political analyst. He is the author of Independent Nation: How Centrists Can Change American Politics and Wingnuts: How the Lunatic Fringe is Hijacking America as well as editor of the anthology Deadline Artists: America’s Greatest Newspaper Columns. He serves on the board of Citizens Union of New York and The Bronx Academy of Letters as well as the advisory board of the Theodore Roosevelt Association. Avlon is also a co-founder of No Labels – a group of Democrats, Republicans, and Independents, dedicated to the politics of problem-solving and making government work again. His latest book, Washington’s Farewell: The Founding Father’s Warning to Future Generations comes out in January. He is married to Margaret Hoover, and they live in New York City with their son, Jack.